This year’s vacation Bible school study by Abingdon Press takes children through the civil rights movement. A UMNS image courtesy of Abingdon Press. A new vacation Bible school curriculum that will take children through the civil rights movement has gotten the attention and endorsement of a Grammy Award-winning artist. 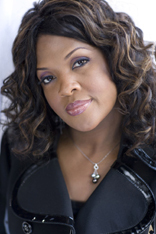 “I have made a wonderful discovery,” CeCe Winans says of “On the Move: God’s Grace from Place to Place,” published by Abingdon Press. 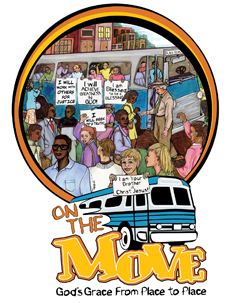 “On the Move” is the African-American heritage-based intergenerational study for 2009. “It meets many of the goals I am always singing about and praying for,” Winans says on a video on YouTube. The curriculum is about God moving through the civil rights movement and is based on Charles Cobb Jr.’s book, “On the Road to Freedom.” The study features some of the lesser-known persons and events in the movement. Each is connected with Scripture and has all the elements typical in a Bible school program. "The whole community will learn that if they keep walking in God's dominion and in God's light they will be encouraged and no one can separate them from doing what is right,” Winans says. Lesson two connects the story of Joseph being sold into Egyptian slavery with the story of a black woman in South Carolina who could not become a teacher. She moved out to an island where she taught people how to read and write so that they could vote. Hands-on activities, including crafts, movement activities and food suggestions, are provided for the various lessons. Two CDs, one with contemporary music and one with freedom songs, are included, as well as two music videos. “You will utilize every part of your being," says Marilyn Thornton, editor of “On the Move.” All generations will come together and build a bus as a part of their journey together. Winans connects “On the Move” to her work with young people, particularly the Always Sisters, Forever Brothers conference July 24 and 25 at Belmont University in Nashville, Tenn. “Our goal is to educate, motivate and redirect the life choices of our teens and young women and men,” says Winans on the event Web site. Topics on the agenda include date violence, teen pregnancy, eating disorders and absent fathers. More information is available at www.alwayssisters.com. Abingdon Press is part of The United Methodist Publishing House. “On the Move” is available from Cokesbury and other retail outlets. The curriculum is available online at www.abingdonpressvbs.com. Information also is available at VBS Twitter at www.twitter.com/cokesburyvbs. * Schleicher, the former editor of The United Methodist Newscope at The United Methodist Publishing House, is a freelance writer and editor living in Nashville, Tenn.